There is a common perception in society that women who suffer sexual harassment are responsible and were ‘asking for it’ by wearing inappropriate clothes, reports BBC. Jasmeen Patheja, in India, is out to prove with evidence that this is not the case. She collects clothes donated by victims of sexual assault for exhibit as part of her campaign, ‘ I never asked for it”. 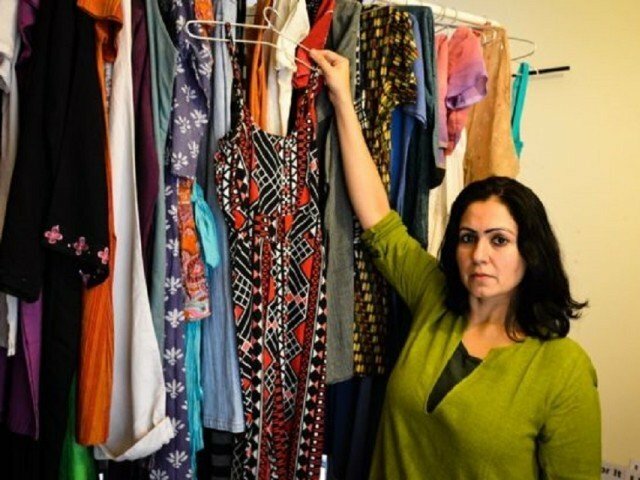 As she wades through the rack, the point is apparent: Much of the dresses that victims were wearing were ordinary looking and simple. Clothes ranged from simple school dresses, to gowns, tunics and a swimsuit. It represented the fact that all women in all walks of life face physical harassment regardless of their age or occupation. One red-and-black jumpsuit was donated by a woman who was a victim in the widespread sexual assaults on New Year’s Eve celebrations in Bangalore last year. Jasmeen Patheja’s fight against sexual- and gender-based violence began nearly a decade-and-a-half ago after she moved to Bangalore from Calcutta to study art. It was then when she was away from the protection of her family did this issue become noticeable to her and she decided to take action. “One day, I got all female students into a room and said, ‘Let’s come up with words that evoke a public space.’ In three minutes, we had a vast mind map of only negative words.” The result was expected – harassment in public spaces is widespread and almost every woman has experienced catcalls, lewd remarks, touching and groping. Victims who speak about the abuse are told that they were at fault- she may have dressed provocatively or acted provocatively, went out late at night, been drinking or flirting: in short, she may have asked for it. She has set up the Blank Noise collective in 2003 to address that fear. The first step to confronting any fear, Patheja says, is to start a conversation around it and one of the things that Blank Noise does as part of the “I never ask for it” project is to gather testimonials from women. So they approached girls and women on the streets of Bangalore and other cities and invited them to write down their testimonials. Patheja says “when one person writes, it encourages others to do the same”, so they returned with white boards filled with names, ages, incidents of abuse, what happened, where it happened and what time, what were they wearing, what they did and what they wished they had done. Almost all women described what they were wearing at the time of the assault and that’s what lead to their idea of collecting the clothes. The story originally appeared on the BBC website.